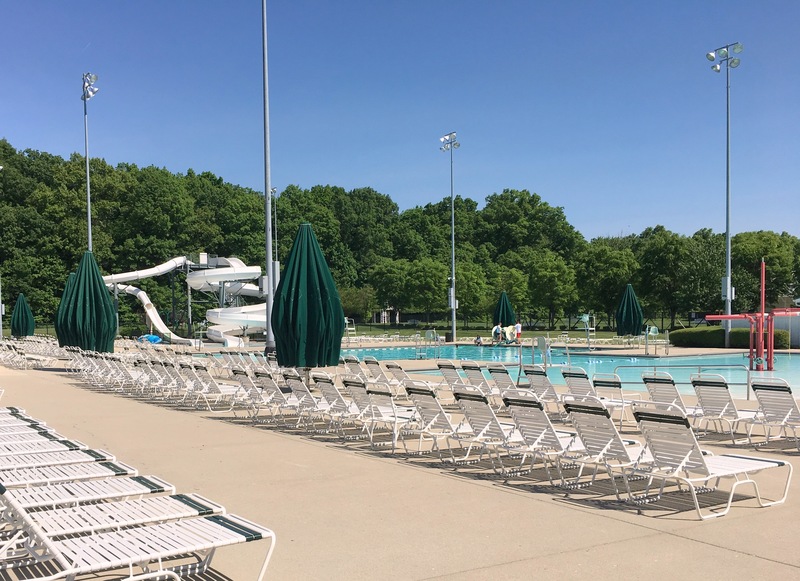 Plain Township Aquatic Center sits in a park-like setting, with ample parking, a main entry building for check-in, separate restroom facilities with lockers and showers, concession, vending machines and picnic area. Lounge chairs, tables & umbrellas go along with lots of green lawn for sunbathing. An 8-lane competition pool with a channel to the zero depth entry which also features a mushroom umbrella of water sprays and shooting fountains along the zero entry edge. Two 28-foot water slides – one is a body slide and the other is a tube slide. All pools are heated with stadium lighting for evening events and swimming. Interactive Play area features slides, water fall, water guns, tunnel, tipping buckets and water wheels. This area is ideal for small children from walking to school age. This pool goes from 0” to 15” deep and is enclosed by a gated fence. Sun-bathing decks with lots of chairs, umbrellas & lounges. Well stocked concession stand and vending machines. 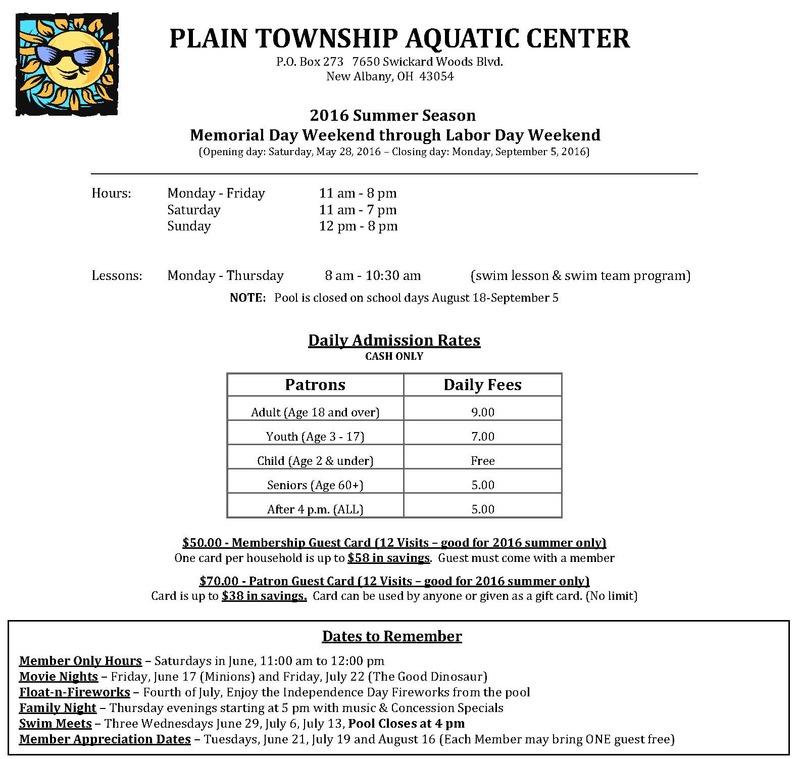 Three sessions of swim lessons offered throughout the summer. Birthday Party Package: Space is available for birthday parties at Eagles Landing, a wooded, private space with picnic tables, which can seat up to 30 people. Pool Rental: Available Saturday evenings throughout the summer. Includes exclusive use of the entire Aquatic Center including all features. Special Events: Family Night, Float & Fireworks, Movie Night, and Member Appreciation Day. For more information call 614-855-7770.